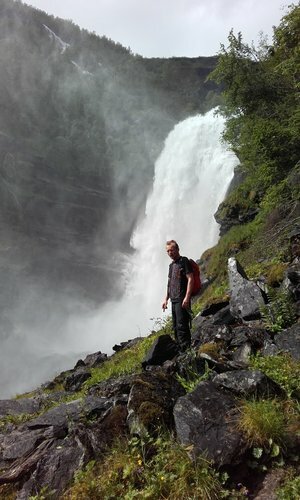 Drivandefossen is located in the lush and beautiful Mørkridsdalen valley, at the end of the Sognefjord. 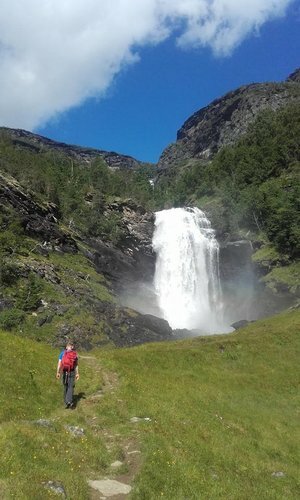 The path to Lake Åsetevatnet and the DNT cabin in Fast runs right past the waterfall. Expect a refreshing shower in the spray from the waterfall. The walk to the waterfall takes 15–20 minutes.